THE U.S. ARMY CORPS OF ENGINEERS BRANCH SONG "ESSAYONS". 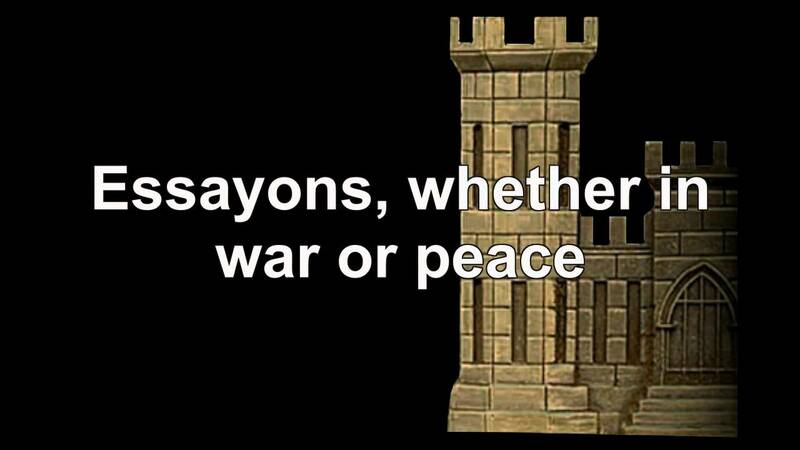 Essayons, sound out the battle cry. Essayons, we'll win or we'll die. Essayons, there's nothing we won't try. We're the U.S. Army Corps of Engineers. Pin the castle on my collar. I've done my training for the team. You can call me an engineer soldier. Dedicated to all engineers, past, present, and future. Pin the castle on my collar, I've done my training for the team. You can call me an engineer soldier, The warrior spirit has been my dream. Essayons, whether in war or peace, We will bear our red and our white. Essayons, we serve America, And the U.S. Army Corps of Engineers. Essayons! Essayons! This Pin was discovered by Michael Bell Sr.. Discover (and save!) your own Pins on Pinterest. Engineers in action / training set to the Engineer Hymn / Drinking song by Rally Point.